Sacha Archer has some new work up at h&; Amanda Earl is interviewed over at Entropy on her AngelHousePress and DevilHousePress; Elizabeth Robinson has work in the new issue of Tupelo Quarterly; and Gary Barwin is interviewed over at TBPL Off the Shelf. 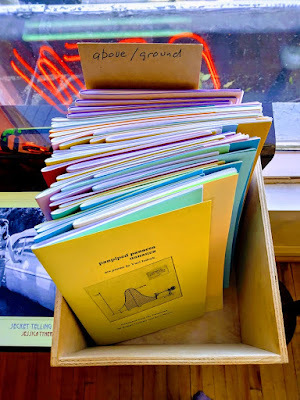 Toronto's infamous poetry-only bookstore and reading venue, knife | fork | book, has been developing quite the selection of above/ground press titles! They even have a couple of issues of Touch the Donkey, as well. If you're in town, be sure to check them out at their new location as part of The Dark Side Studio, 244 Augusta Avenue, Second Floor (walk-up above Bunner's Bakery). Sacha Archer is an ESL instructor, childcare provider, father, writer, and visual artist. His work has appeared or is forthcoming in journals such as filling Station, ACTA Victoriana, h&, illiterature, NōD, Experiment-O, UTSANGA, and Matrix. Archer’s first full-length collection of poetry, Detour, a conceptual work with the Dao De Jing as the source text, was recently published by gradient books (2017). His most recent chapbooks are The Insistence of Momentum (The Blasted Tree, 2017), and Acceleration of the Arbitrary (Grey Borders, 2017), with a chapbook forthcoming, TSK oomph (Inspiritus Press). 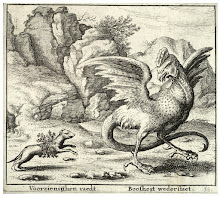 A collection of broadsides from his work Ghost Writing is his latest publication from The Blasted Tree. One of his online manifestations is his blog at https://sachaarcher.wordpress.com. Archer lives in Burlington, Ontario. above/ground press authors Renée Sarojini Saklikar's After the Battle of Kingsway, the bees— (2016) and Dana Claxton's THE PATIENT STORM (2016) are on the 2017 bpNichol Chapbook Award‏ shortlist! 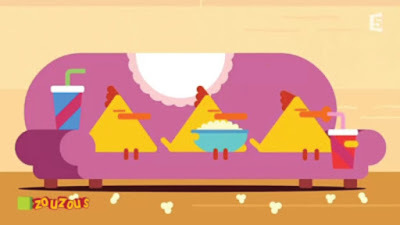 It has just been announced! Congratulations to Renée Sarojini Saklikar and Dana Claxton for making the shortlist to the 2017 bpNichol Chapbook Award [and of course, both Renée Sarojini Saklikar's After the Battle of Kingsway, the bees— and Dana Claxton's THE PATIENT STORM are still in print]! I'm in the midst of chapbook making (that might even be a Sacha Archer title in the background I'm stapling...), so am taking but a small pause with wine to hoist to the shortlisted authors. Congratulations, all! 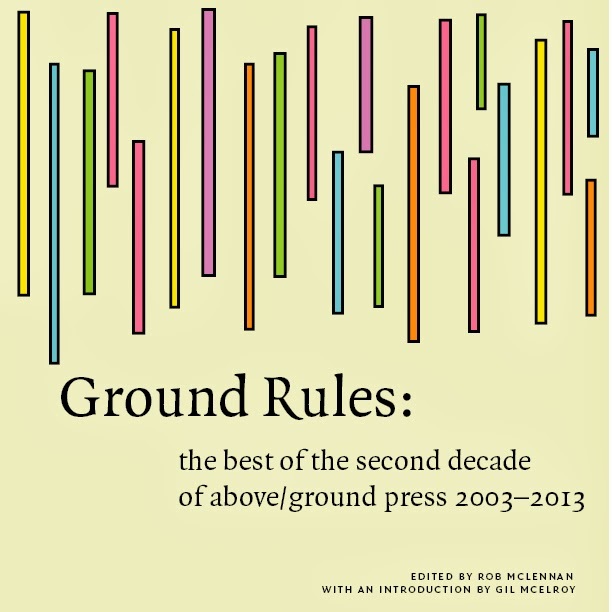 This is above/ground press' fifth appearance on the bpNichol Chapbook Award shortlist over the past six years, after Jason Christie's Cursed Objects (2014) and Ben Ladouceur's Lime Kiln Quay Road (2014) made the 2015 list, Christie's Government (2013) made the prior year's list and Fenn Stewart's An OK Organ Man (2012) made the list before that, and Hugh Thomas' Opening the Dictionary (2011) and Elizabeth Rainer and Michael Blouin's let lie/ (2012) were shortlisted the year prior to that. So many lists! TORONTO – October 17, 2017 – Tonight, at a Toronto event paying tribute to the late poet bpNichol, the Meet the Presses collective announced the finalists for the 2017 bpNichol Chapbook Award. The prize, awarded annually since 1985, goes to the author of the best poetry chapbook – in the estimation of the judges – published in Canada in the previous year and submitted for consideration. It is named in honour of the late poet, novelist, mentor, and micropress publisher bpNichol (1944–1988). 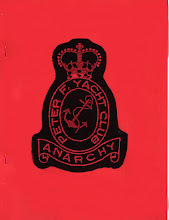 The $4,000 prize purse, donated by an anonymous benefactor, makes this the richest annual literary award for a poetry chapbook, specified as a collection of no more than 48 pages. The publisher of the winning title also receives $500, thanks to an annual donation by Toronto writers Brian Dedora and Jim Smith. Judges Helen Guri of Montréal, Québec, and Hoa Nguyen of Toronto, Ontario, chose the finalists from more than 60 submissions from across the country. 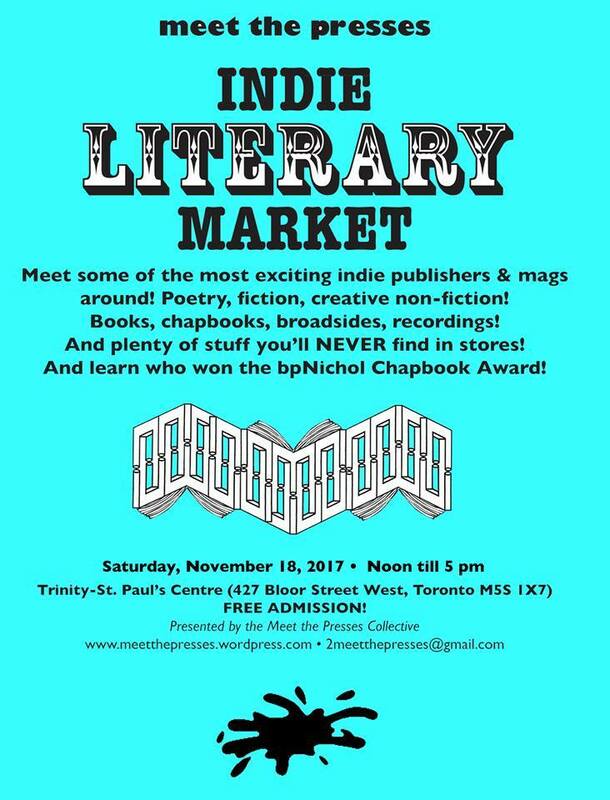 The winner will be announced at 2 p.m. on November 18, 2017, at the annual Meet the Presses Indie Literary Market, open from 12 noon to 5 p.m. at Trinity-St. Paul’s Centre, 427 Bloor Street West, in Toronto. 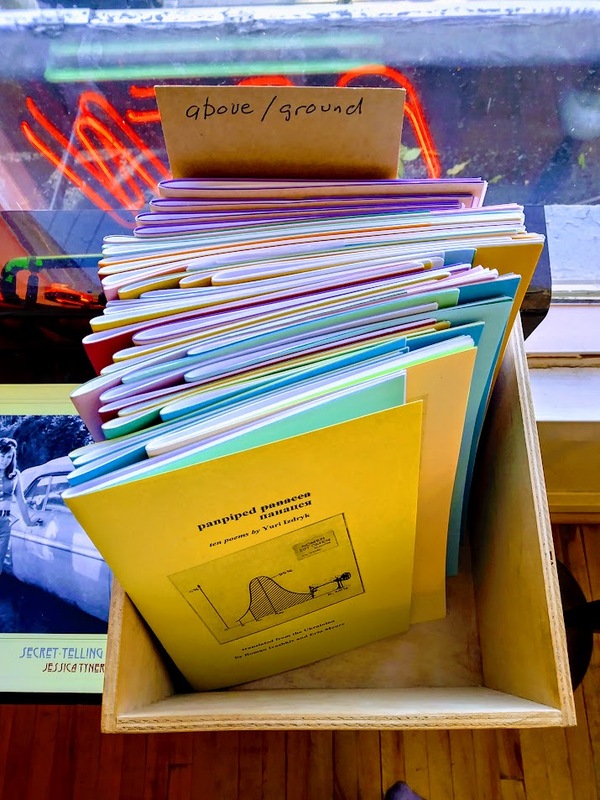 The Market introduces the public to independent literary publishers of books, chapbooks, magazines, ephemera, and recordings generally not available in bookstores. 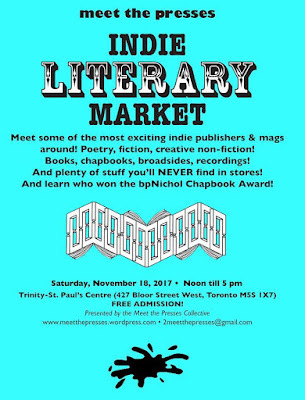 The free event is curated by Meet the Presses, a volunteer literary collective devoted to showcasing the work of independent publishers of fiction, poetry, and creative non-fiction. 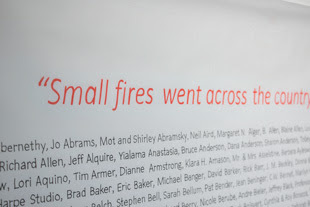 More details can be found at meetthepresses.wordpress.com. rob mclennan and Sacha Archer have new poems in the first issue of where is the river :: a poetry experiment; nathan dueck has new work up at Lemonhound; and Amanda Earl reads next week at Toronto's Harbourfront, as part of the International Festival of Authors. rob mclennan reads in Kingston as part of the Modern Fuel Artist-Run Centre 40th Anniversary. 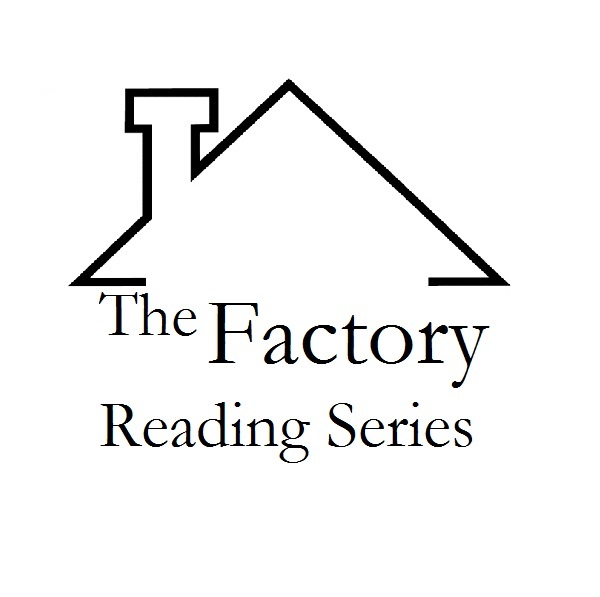 On Tuesday, October 24 we are pleased to present an evening of poetry organized by Eric Folsom. Featured poets will include Elizabeth Greene, rob mclennan and Susan McMaster. 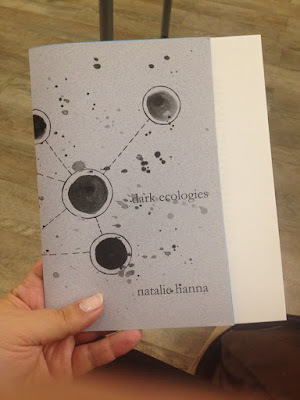 natalie hanna interviews Kayla Czaga as part of the Arc Poetry Magazine newsletter; Pearl Pirie is featured in rob mclennan's monthly "spotlight" series; and Eleni Zisimatos and Jason Christie both have new essays up at my (small press) writing day. 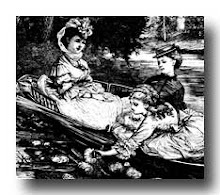 by a fountain in a public square, in the heart of a city garden, in the downtown core was my heart first published on a bench under partial shade of a tree with hazenut shaped leaves and dark bark. where sleek men in suits lay on the grass twenty feet from a half naked cyclist rubbing his belly as he sunned himself on another bench, bicycle resting behind his shoulders. i remember eating lunch here with you with one summer and how you admonished me for feeding the birds. dear god, i thought, am i friends with a man who does not feed birds? young boys lay face down on the fountain rim, laughing and dangling their arms into water. a young man passed and handed me a flyer of the country's 150th birthday as a pigeon in the branch overhead considered whether i was fit to steal from or be shat upon. a cloud of pot smoke settled lazy on my shoulders from the nearby drowsy grass-throned caterpillar considering the afternoon in his cut off jeans, forrested legs crossed before him. i felt the concern of these ants on my calves, wrong way, wrong way, this is womanly skin on womanly leg, out of place today, when will this expanse end? natalie hanna is a queer lawyer of middle eastern heritage whose writing focusses on feminist, political, and personal themes. she runs battleaxe (small) press, is the administrative director of the Sawdust Reading Series, and serves as board-member and newsletter editor for Arc Poetry Magazine. 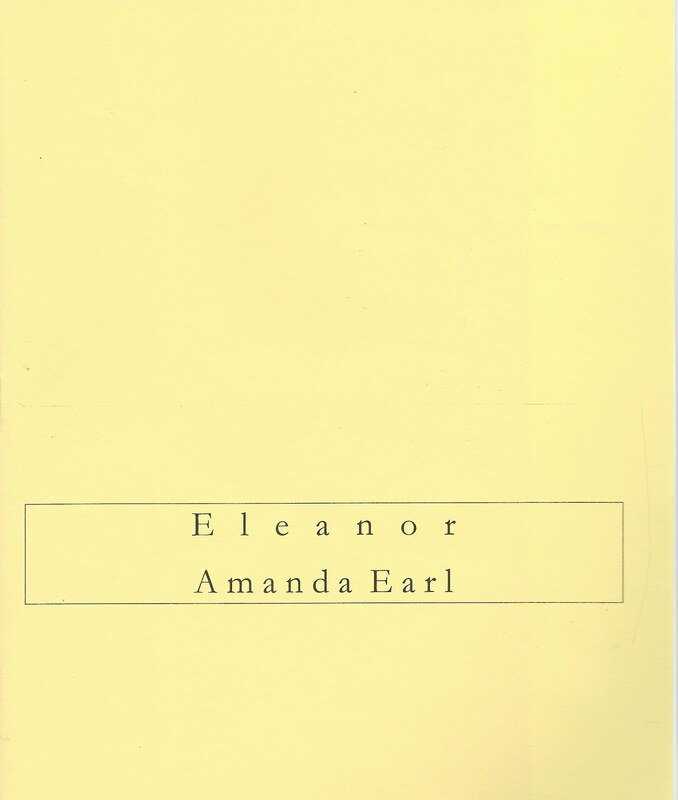 This is her second chapbook with above/ground press, after “this evidence against you,” produced as STANZAS #21 (October 1999).